Bay To Brews Is Taking a Year Off In 2019! Run With Paula is honored to have had the opportunity to work with the community of Newport to produce one of the best events in the area. 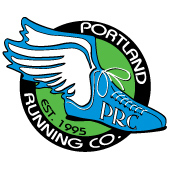 Although RWP is not producing B2B in 2019, we do have some amazing fall events to choose from including Bridge of the Goddess Half Marathon, and Beaverton Half Marathon. See you this Fall! Why: Fun, Fitness, and support of Newport High School. Our course is open for 4 hours, and is open to walkers, joggers, and runners. No doggies allowed on race course. Half Marathon & 10K start at 8am under the iconic Yaquina Bay Bridge, 5K starts at 7:50am. Parking at the Newport Oregon Coast Aquarium. Gear check and pre race goodies including coffee and Dave’s Killer Bread available in the brewery, follow signs and volunteers for packet pick up and snacks. Thanks to all of the volunteers including Newport High School, they are manning all 3 aid stations on the course. Thanks NHS! As mentioned in Runner’s World Magazine! Raise a toast to the best of our Oregon coast! Drink in the scenery on one or two loop alongside breeze-tousled waters of Yaquina Bay. Home base for Bay to Brews is Rogue Ales under the iconic Newport Bay Bridge, where we’ll join Karob Austin (amazing local DJ). A huge thanks to the Port of Newport for partnering with us as a Presenting Sponsor. The Port of Newport is doing good things!! Want more information about the Port of Newport? You can find it here. The Port of Newport. Rogue. Oregon Coast Aquarium. AMAZING! Use your race number for discounted entry into the Oregon Coast Aquarium on Saturday after the race! Save $10 off entry into the Oregon Coast Aquarium after the race! The Holiday Inn Express is just a 5 minute walk to the starting line and the Oregon Coast Aquarium. Not only do you get a clean comfortable place to stay you get free breakfast as well! Special Rates if you mention the Newport Bay to Brews! UPDATED course for 2018. Double out-and-back! It’s twice as nice! Begin at Rogue Ales and Spirits in Newport, Oregon. This course will run out and back on the bay and then out and back on the beach path and jetty. Finish under the iconic Yaquina Bay Bridge right at Rogue. Do this twice for the half marathon. Lots of spectating opportunities for friends and family that want to see you during the race. The 5K is also an out and back. Flat, fast, and friendly this 5K is an quick out and back with amazing views. All races start under the bridge at Rogue Brewery. It never gets old, this course offers so many scenic views and points you won’t be sorry you did it twice. 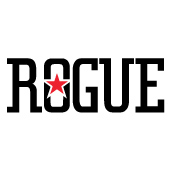 The after party is at Rogue where we will enjoy the best beer in the universe and feast on Burgers and Mo’s Famous Clam Chowder. Great music will be playing so get ready to move your feet! This after party all happens in the Rogue Brewery and on the shore line of Yaquina Bay!! Don’t want to miss this one! 6:30am: Packet pick up and Day of Race Registration opens – you may register online through race start. 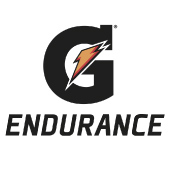 8:30a: Yummy post race food including Rogue Burger or Garden Burger, and Rogue Beer available for all participants – First Beer FREE!!! Amazing Rogue Beers will be for sale after your first for $5. Bring your ID and your love of amazing craft beer!! Cider will also be available. 9am-10am: Awards: we will announce our top finishers and have an awards table. Awards will be presented to the top 3 overall male and female and top male and female masters in each race. You can view live results here. WE LOVE OUR VOLUNTEERS! EMAIL [email protected] FOR VOLUNTEER POSITIONS AND INFO. Thanks to Newport High School for their support of Newport Bay to Brews! We are pleased to make a donation to Newport High School through the proceeds of this race!